Appointment with Danger: The Long Descent. 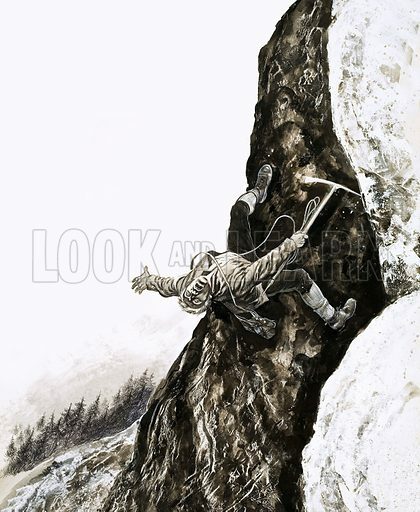 Emil Habl falls from Mount Rex in the Austrian Alps. Original artwok from Look and Learn no. 412 (6 December 1969). Available worldwide for immediate download up to 3,624 x 4,415 pixels.